Serradifalco (Zip Code 93010) is 50 Km. distant from Agrigento, 22 Km. from Caltanissetta, which is the province it belongs to, 148 Km. from Catania, 63 Km. from Enna, 251 Km. from Messina, 141 Km. from Palermo, 160 Km. 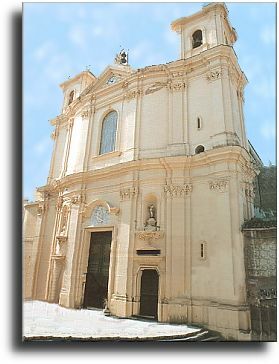 from Ragusa, 241 Km. from Siracusa, 223 Km. from Trapani. The municipality counts 6.545 inhabitants, its surface measures 4.159 hectares, and its population density counts 157 inhabitants per square kilometre. It rises over an internal hilly area, 504 meters above the sea-level. The Town Hall is located in via Duca n. 6, tel. ++39 0934-930433 fax. ++39 0934-930545. In this town, rich of natural water springs, the main cultivations foresee cereals, vegetables, grapes, fruits, and olives. These products are exhibited every year during the Fairs held in May, August, September, and October. The name Serradifalco derives from the Spanish term Sierra, that means hill, elevation, and more specifically area where eagles nidify. 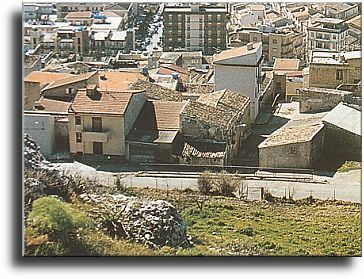 The land was under Caltanissetta's jurisdiction until the XIV� century. In 1640, Lord Leonardo Lo Faso Pietrasanta founded the new suburb, becoming its Duke in 1665. In 1812, the feudal regime was abolished, and the town became independent. 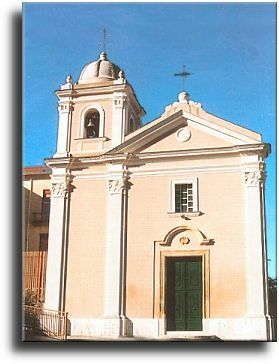 The most relevant monuments are the Chiesa Madre dedicated to S. Maria di Loreto, built in 1700, and the Chiesa dell'Immacolata, built during the same period. Also, the Lago Soprano natural reserve is very interesting. A famous name belonged to Duke Domenico Lo Faso Pietrasanta (1773-1863), one of Sicily's mayor archeologists, who used to be called "Serradifalco". He was the author of five volumes, "Antichità della Sicilia" regarding antiquities from Sicily, and he actively participated to the Federal Revolution, in 1848-1849.